How Emotional Responses To Terrorism Shape Attitudes Toward Policies Scientists have been studying reactions to terrorist events, and how those reactions shape public policy. They found emotional response to terror attacks is often out of proportion to actual risk. Fears of terrorism in this country have been skyrocketing since the recent attacks in San Bernardino, Calif., and social scientists have been studying how terrorist attacks shape our feelings, and also how those feelings shape our attitudes toward different policies. To talk about this, we're joined by NPR's social science correspondent, Shankar Vedantam. Hi, Shankar. GREENE: So, you know, we've been reporting on this. Polls seem to show that Americans, I mean, are really afraid of terrorism in a way they were in the weeks after 9/11. And you've been talking to some social scientists about this. VEDANTAM: That's right. I think in many ways the fears are completely understandable, David. Research conducted after the 9/11 attacks, for example, showed not only that many Americans were fearful about terrorism in general, but they thought that they were personally at very high risk of becoming victims. I spoke with Jennifer Lerner at Harvard University's Kennedy School. Here's what she told me. JENNIFER LERNER: The results were really shockingly high in terms of risk-perception levels. People thought on the order of about 30 percent likelihood that they themselves would be the victim of a terrorist attack within the next 12 months. GREENE: So even if they weren't involved personally in any way in 9/11, they saw all of that and just said, this is going to happen to me in the next year - or it very well could. VEDANTAM: That's right. So the point of Lerner's research is actually that our emotional responses to these events is often out of proportion to the actual risk. In other research that she's conducted, Lerner and others also find, in general, women are more likely to respond to these events with fear and men are more likely to respond with anger. Now, on the plus side, anger reduces your sense of risk, so compared to the fearful people, angry people are less likely to think that they themselves will become victims. But anger produces its own set of biases. Lerner and others find that by lowering our sense of risk, anger simplifies our thinking and increases our willingness to take risks. It increases our willingness to act aggressively. Here she is again. LERNER: When people are angry, they feel that whatever does happen, they themselves will prevail or they will be the exception. And it leads to more risk-taking. GREENE: So you can have outsized fear. You can have a feeling of anger that leads to more risk-taking. Could this be applied to policymakers as well? VEDANTAM: Yeah, I think this is actually the latest iteration of the research that Lerner and others are doing. She's actually conducted several sets of experiments with both civilians as well as with military and national security experts. And she finds that both groups can be induced to feel different and then to start thinking differently. So, for example, when she shows civilians pictures of Arabs celebrating after the 9/11 attacks or she shows military and national security experts pictures of an ISIS fighter standing beside American journalist James Foley right before the journalist was beheaded, it triggers anger in both groups and causes both civilians and experts to simplify their thinking. So they're literally less able to think in complex ways when they're angry. Lerner told me we often don't realize how profoundly emotions change not just the way we think, but even our policy preferences. LERNER: Most of us believe our policy preferences are very well-formed beliefs that tie into our core, enduring values. What we find in our research, however, is that our policy preferences are very much shaped by the information that we are exposed to, especially information that is emotionally evocative. GREENE: You know, Shankar, emotionally evocative - I guess I just wonder if researchers have any ideas for how to take the emotional reaction in some of these biases you're talking about out of the equation. VEDANTAM: I'm not sure you can take emotional reactions out of the equation, but you might be able to limit the effects of the biases, David. The first thing to do is actually just to recognize that fear and anger change the way we see the world - to recognize these biases exist. The second thing is before you make policies, run your ideas by someone else. Having a sounding board provides you with guard rails. The most interesting idea that Lerner told me is, get some sleep. Sleep deprivation seems to exacerbate the biases associated with fear and anger, and of course, when you think about it, policymakers dealing with a crisis are often going days on end without getting much sleep. GREENE: That's Shankar Vedantam, who regularly joins us on the show to talk about social science research. 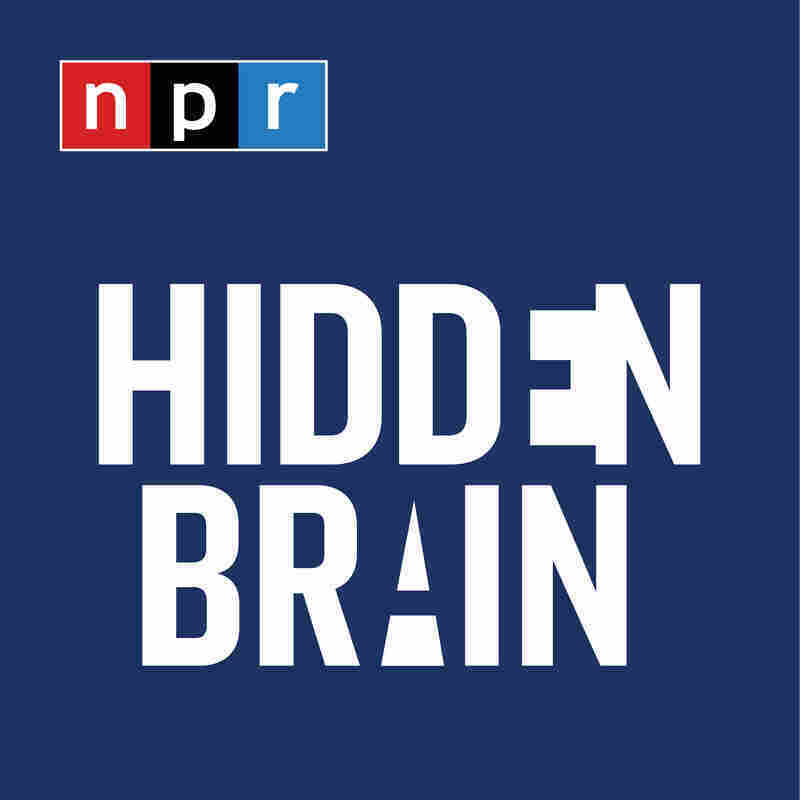 And he explores the psychology of terrorism and other ideas on his podcast, Hidden Brain.